Spanning over 1200 square km, the throne of St. Peter is the fourth-most populous city of the European Union. Rome as we know it is an A-lister of the most-visited-tourist-destinations of the world. The two things; an enormous flock of an urban populace with a swelling swarm of tourists makes it Rome. Even with such a huge human influx, The Eternal City has an abundance for occupancy. Rome has 22 districts, which are called rioni in Italian. These rioni have distinct neighborhoods with equally distinct cultures. They are the perfect places to visit, to know Rome beyond the Colosseum and the Vatican. 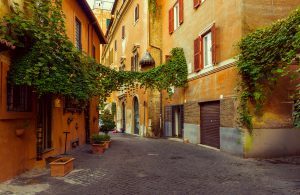 Here are some of the best neighborhoods to explore in Rome. If you are in Rome and you love food, Trastevere is the place, you got to be at. Located on the right bank of the Tiber this place is known for its food options. The cobblestoned narrow streets take you back in time and while you are still walking down the history, you would realize, the day has turned into night. Trastevere is known for its nights, with eateries such as La Punta and Niji. Apart from food, Trastevere can satiate your wanderlust too. 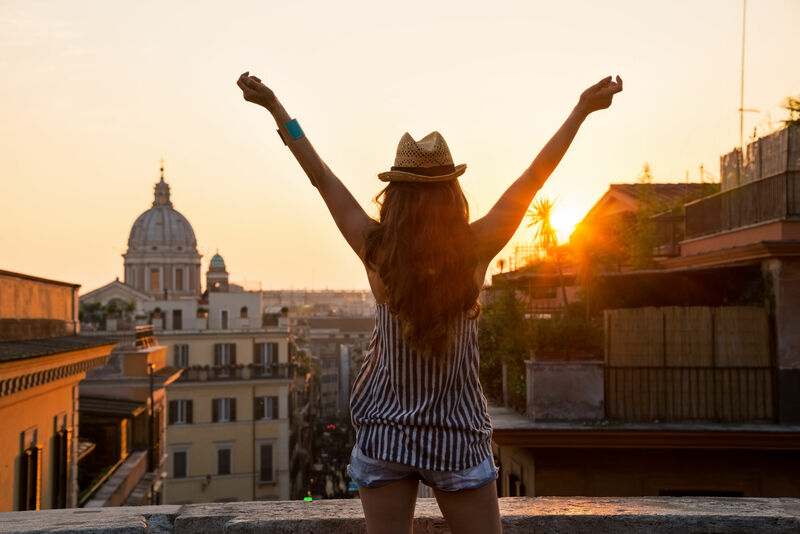 Visit places such as the Ponte Sisto bridge, San Cosimato market, Basilica of Santa Maria and Tiber island, to name a few popular spots of the neighborhood. The English translation of the word Monti is mountains, and the reason behind this is the fact that there were 4 of the seven hills that made the city of Rome, located here in this area. The neighborhood although stands in a stark difference to what it was known for, in the Caesar era: a red-light district but now is one of the charming places of the neighborhood to visit. 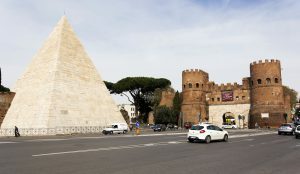 You don’t have to travel a lot to reach Monti as it is just a short walk away from the Colosseum and Piazza Venezia. Another thing to do in Rome’s this neighborhood is shopping in the flea market. If you are flea market enthusiast, check out the Monti Vintage market. Although not the best place to have something to eat, Monti is all about art, history and the glowing nightlife. Another amazing choice for a foodie is Testaccio. This neighborhood of Rome is popular for its meat dishes which attributes to the slaughterhouses once situated at the edge of the area. No wonder from where the food in Testaccio got its “meaty” influence. 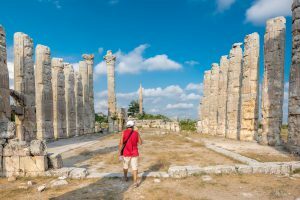 As the neighborhood is visited with very few tourists, the accommodations are economical. Although the one place you can’t miss to visit as a tourist is a hill in the southwest corner of Testaccio. The name Testaccio is derived from Monti dei Cocci a hill in the southwest corner of the area. The hillock is made of about 50 million discarded terra-cotta pots. This rubbish heap dates back to the Imperial Roman times. Although you need a guide to visit Monti dei Cocci, it is worth. One of the most beautiful neighborhoods in Rome is the Pantheon and it won’t be an exaggeration to call it the true symbol of Rome. 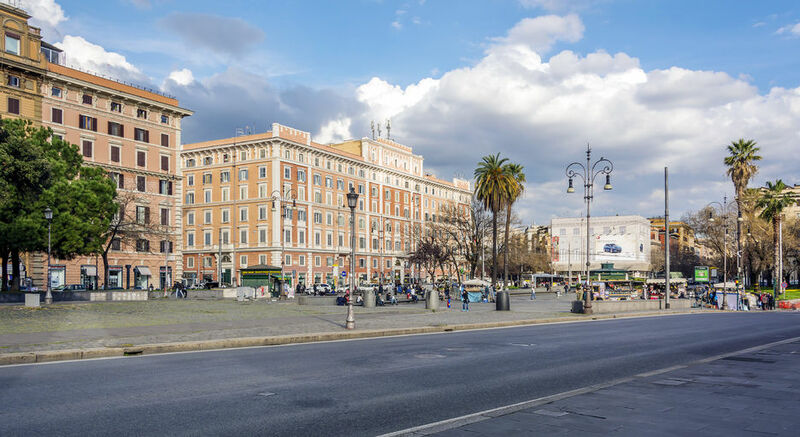 The beauty of this place is marked by renaissance architecture that would surely make you fall in love with one of the most expensive neighborhoods of Rome. Piazza Navona, the Spanish Steps and many other Renaissance attractions on the cobblestoned streets take one back in time. The neighborhood is costly and thus, from hotels to private apartments, things are pretty expensive here. One of the few neighborhoods in Rome that have not been overtaken by tourism is the neighborhood of Prati. Across from Vatican City lies Prati which is a calm neighborhood. Although the tranquility of the place is surprising, as the Vatican and the St. Peter’s Basilica are located in the close vicinity that attracts hordes of tourists. Irrespective of what budget you are traveling on, there are plenty of accommodation options available in Prati. You can’t ask for what things to do in this Roman neighborhood, The Vatican, the Sistine Chapel, St. Peter’s Basilica and everything that Rome is all about, is here. You won’t find much nightlife in Prati which is because of the fact that it is a residential area, yet you get good options to eat. 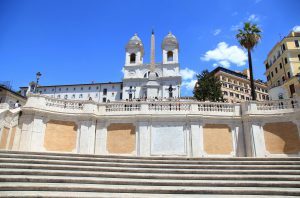 While this was a mini guide to the neighborhoods of Rome, you can know much more about the capital city of the World by simply visiting it. Book your tours at www.benvenutoliomos.com. Why Italy is the Most Visited Country in the World? © 2018. All Rights Reserved. Benvenuto S.C.A.R.L.